This was the last weekend of competitions for the 2018 USA Archery Indoor National Championships. Many of Arizona’s JOAD archers shot well this year. Click on the link below to see the results. USA Archery has released a new “High Draw” procedure for Judges to follow at all registered USA events. This policy is based off of World Archery rules, and can ultimately end in a disqualification of the archer if their “Form” is not altered. It is important for JOAD Clubs, Coaches and Parents to be aware of the safety policy. We don’t want our archers learning a new shooting form during an event, and we really do not want them to be dis-qualified and asked to leave. Here is the text of the USA Archery Policy Procedure released to judges. Below I have attached a link to the actual USA Archery High Draw policy PDF. What is considered a High Draw? High Draw as defined by World Archery Rule Book 3, art. 12.9: An athlete, when drawing back the string of his bow uses any technique which, in the opinion of the Judges, could allow the arrow, if accidentally released, to fly beyond a safety zone or safety arrangements (overshoot area, net, wall etc.). The Judge must consider the position of the bow arm and the direction of the arrow at the moment the string is pulled back. Besides, it is a fact that there is more reason to be concerned about compound athletes than recurve, as the latter has more control vis-à-vis an unintentional release. During the last couple of years, we have also seen that several athletes are pulling their bow sidewise, which especially in a Finals field means that the pull in fact is directed towards the spectators. This is of course not acceptable, and have to be picked up by the judges as early as possible. Considering these parameters, there will always be wise to have more Judges to study the athlete in question, also involving the Chairperson. Taking a picture at the critical point in the draw or a video of the archer in action can be helpful to show the archer what the judge is seeing. When is High Draw enforced? Archers determined to be using/utilizing a high draw shall be notified at any USA Archery sanctioned event. What is the procedure for notifying the archer? • The judge who identifies an archer with a high draw shall observe the archer shoot several times. • The same judge will ask the opinion of other judges on the field. • Having a consensus with other judges, the issue is then discussed with the Chair of Judges (COJ). • IF the COJ upholds the high draw assessment, he/she will speak to the coach or parent of the archer. If no coach or parent is present, then the COJ will talk directly with the archer. The COJ will ask the archer to adjust their draw process. If this cannot be done, the COJ may ask the archer to stop shooting. • It is important for the line judge to keep checking back during the event. • The line judge may even take photos of the archer to support their assessment. What are the consequences for the archer who fails to act on a high draw call? Registration for the 2018 AZ Cup has opened. This years USAT event is being held on April 6 – 8, 2018. The Tournament always fills up fast, so make sure to register early. For information about the event and On-line registration, click the link below. USA Archery SafeSport Training Update. On January 16, 2018 USA Archery sent out notice that the New SafeSport training is up an running. There are new requirements regarding the Safesport training renewals. Please make sure to log on to your USA Archery account and review. Below is the Notice sent out by USA Archery. When you have successfully completed all three courses, the SafeSport certification will automatically be added to your account. Each course will be added to your account as soon as you start the training. If you wish to complete the courses in different sessions, you will be able to log in and click on “Pending Approval” next to the course you wish to complete, and then follow the link to continue training. Once you have successfully completed all three training courses, a certificate of completion will automatically be emailed to you. Important Notes: Anyone who has taken the previous SafeSport Training will have until June 30th, 2018 to complete the 3 new courses. Your certification will be valid for two years, and other courses will become available periodically. Who needs to take the training? SafeSport is a required course for any club employee, volunteer, instructor, coach, judge, administrator or member who is formally appointed to a position of authority over, or will have direct contact with athletes within a USA Archery Club event or activity. For more information on USA Archery’s SafeSport policies, including the Code and reporting procedures, click here. The U.S. Center for SafeSport, headquartered in Denver, Colorado, works collaboratively with sport organizations to foster a culture of safety by raising awareness, centralizing best practices, and providing education and training to promote respect and prevent abuse. The Center encompasses two offices – one for education and outreach, and one for response and resolution. Learn more: https://www.safesport.org. As we prepare for another year of Tournaments, please keep in mind the USA Archery Dress Code which changed in 2017. There were many Dress Code issues that occurred at Tournaments which could have been easily avoided with a little planning by Archers. Coaches, Parents, and Archers – Please take the time to read and understand the USA Archery Dress code prior to attending an event in 2018. The underlying intent of the dress code is to have archers display a professional and athletic image. The 2017 revision has added the restriction of “Leggings (tight fitting / yoga-type stretch pants)”. USA Archery’s interpretation of “athletic image” is along the lines of Professional Golf, NOT Olympic Track and Field. Below I have attached a copy of the USA Archery Dress Code, which will be in Effect at all USA Archery Sanctioned events. Registration for the USA Archery National Indoors has opened. There are many different locations to choose from, and the dates go from January 19 through Mar 2, 2018. You will want to register early, because many locations fill up quickly. For information and Online Registration you can follow the weblink below. Arizona JOAD Archers strike Gold on the World Stage. Congratulations to Arizona JOAD archers, Alexis Ruiz and Andrew Park. They both shot excellent this past week and are coming home with medals from the Youth World Championships. Below are pictures taken by Coach Gary Yamaguchi, and a story from USA archery. Here is a USA archery article about the final day of the Youth World Championships. “….. ROSARIO, Argentina – The World Archery Youth Championships came to a close today with the individual compound finals and all recurve finals. In addition to yesterday’s compound cadet men’s team gold, and the cadet women’s team and junior mixed team silvers, Team USA had four shots at three gold medals in the compound individual finals, and the recurve cadet men’s team was the sole recurve contingent to make the medal matches. The recurve cadet men’s team, led by Jack Williams (Irvine, California) and teammates Andrew Park (Marana, Arizona) and Adam Heidt (Springfield, Georgia), overcame a 4th place seed to earn the U.S. a shot at a recurve world title. Going head to head with the 3rd ranked team from Chinese Taipei, a strong 54 gave the fist-bumping U.S. team a 2-0 advantage over Taipei’s opening 50. Holding steady, a perfect 30 in the front half and a 29 in the next three arrows gave the U.S. a decisive 4-0 lead as Taipei managed just 54 points in response. The Chinese Taipei team made a comeback, opening the third set with a perfect 30 and then put the set win out of U.S. reach with a 58 to USA’s 55 to bring the score to 4-2. To open the fourth set, Taipei posted a 27, which USA countered with a 24. As Taipei finished the set with another 27 points, the pressure was on, and the U.S. team needed a perfect score to tie. Unable to keep all three in the 10 ring, the match went to a 4-4 tie for a shoot off. Both opened with 9s, then USA posted a 10 to Taipei’s 9. Another 10 clinched the USA win and the world title! In an individual rematch of the women who shot for mixed team gold yesterday, USA’s Alexis Ruiz (Glendale, Arizona) faced Great Britain’s Sarah Moon for the compound junior women’s title. As wind continued to play a factor, both archers managed to find gold and scored 28s, and Ruiz held strong with a 29 to follow, while Moon scored a 27 to give Ruiz the advantage by 2. Smiling between ends, Ruiz remained calm and composed on the line, putting another 28 points down range to pick up another two points to her lead, 85-81. A perfect 30 for Ruiz grew her lead again, and then after keeping all 15 arrows in the gold, Ruiz took a strong win 144-139 to take the World Champion title! Then in an all USA final, Jesse Clayton (Powell Butte, Orgeon) and teammate Curtis Broadnax (Social Circle, Georgia) went head to head for the compound junior men’s world title. Keeping it exciting for the crowd, both opened with 29s. Broadnax then threw a perfect 30 to take the lead as the top seeded archer scored a 27. Still clean over the next three arrows, Broadnax increased his lead to 89-84 with six arrows to go. To close the match, Broadnax picked up another four points for a 146-137 total to take the gold and World Champion title while Clayton added a silver to his mixed team silver from yesterday and his and Broadnax’s team bronze earlier in the week. Compound cadet Ethan Merrill (Manchester, New Hampshire), ranked 3rd in qualification, took strong wins throughout the individual competition and with a gold win on this stage in yesterday’s team rounds, he opened today’s final against Puerto Rico’s Alvarado Fernandez confident. The two split the first end with 26s, but in the second end, Alvarado Fernandez opened the door with a 7, and Merrill took the lead 54-52. With a perfect 30 in the next three arrows, Merrill increased his lead another two points to 84-80. Then, a few arrows went high, but Merrill retained the advantage by a point and with three arrows to go, both shot 9s, followed by a 10 for Alvarado Fernandez and a 9 for Merrill. With the score now tied, both shot 9s again to force a shoot off at 137-all. Both shot solid 10s down range and the judges had to pull out calipers to determine which was closest to the center. Alvarado Fernandez was declared the winner by millimeters and Merrill was awarded the silver to complete his full medal set – team gold, individual silver and mixed team bronze in his World Championship debut. Results are available at www.worldarchery.org. For more, follow USA Archery onFacebook, Twitter, and Instagram. There are 3 open board positions that you are able to vote for in 2017. The term that they will serve is October 2017-October 2019. Please review the candidates below, and then make your voice heard by voting. – You must be a resident of the state of Arizona. – You must have a current USA Archery membership. – You must be 18 years or older. 1975. 1983-1992 Began archery with my daughter as a Father/Daughter thing but she soon decided that ballet was far more interesting. I continued as i enjoyed the competitive aspect of the sport. During this time, I became a shooter at The Archers Den where I met Al Henderson. With his guidance I became State Indoor and Southwest Sectional Champion from 1986-1990 except 1989. Present: Renewed my interest in Archery in 2007 and in 2009 qualified to compete in the Senior Olympics in Houston, Texas. As of January 2017, I now hold the Arizona State Indoor Championship for Seniors for the past four years. I am listed as member #1 at the Arizona Archery Club and am currently a Pro Staff Shooter for them. I currently hold a level III coaching certificate and help run the beginner’s class at the club every Tuesday evening for 6 weeks at a time. Have been asked to help with Outside companies that want to have a team building experience with their employees. I also help out on Saturdays mornings with the JOAD and any customer that comes in needing help. As a family, we discovered archery six years ago at the AZ Game and Fish Expo at Ben Avery. Since then, the sport has dominated my weeks, weekends, and travel. What started as an interest for my daughter, quickly grew into her sport of choice and a passion for me. I learned how to shoot a bow and earned my Level 2 Instructor’s Certificate. Wanting to give back to the sport and the community, I started working with the JOAD at Arizona Archery Club. Since then, I have earned my Level 3 Coaching Certificate, USA Judging Credentials, volunteer as the co-coordinator for AZ State JOAD, and help with most tournaments in the state. I truly enjoy serving the archery community and helping to grow the sport in the state of Arizona. Between working full time as a Product Manager for American Express and volunteering with JOAD, my house is cluttered, but my heart is happy. It would be an honor to serve the sport and the community as a member of the board for USA Archery in Arizona. In 2010 I returned to the sport of archery after a 20 year hiatus. I introduced my lost love of archery to my family, and our lives have revolved around it ever since. Shortly after returning to competition a wise man made a statement that completely changed my outlook. He said that these JOAD kids only have a few years to truly enjoy this great sport before life takes over. I took that statement to heart and decided that I needed to fill a different role. In a sport that is built mainly on parents and volunteers, I needed to help wherever possible. Since that time I have taken Instructor courses, helped coach, provided equipment support and bow tuning to JOAD competitors, participated in planning and running Charity events, and acting as a Judge / Director of Shooting for local and National competitions. My goal is to insure that Arizona archers have quality training and competitive events to attend. As part of the board my main focus would be to find more ways to build participation in all of World Archery’s competitive forms, Target, Field, and 3D. – Former JOAD and Collegiate Archer. – USA Archery Judge / DOS. – USAA Level 3 Coach. I’m a retired editor from The U.S. and International Archer magazine. My husband, Terry, and I have spent our lives shooting archery, judging tournaments, traveling and generally living a great life. I have spent many terms on both the Arizona State Archery Association and USA Archery Arizona Board of Directors serving as Member at Large and Treasurer. I am currently a National Judge. I have judged numerous National, State and Local events over the course of my 40 years in archery. Years ago, we put a bumper sticker on our truck that said “Archery is my Life” … at that time, I thought that was kind of pathetic. Now, about 25 years later, I know that it a wonderful statement! The archery family is very close and supportive. My desire to remain on the USA Archery Arizona Board of Directors is strong. I enjoy representing southern Arizona. My years of experience have provided me with a lot of insight into the sport from an athlete’s perspective, as a judge, as a small archery business owner and as a photographer/editor. I love our sport and stay in touch with updates and improvements. After moving to Arizona back in 1978, I took up archery in order to bowhunt all year. When my son was graduating from High School, I decided to go back to college. The archery coach offered me a full ride scholarship if I would shoot on the archery team! That changed my entire life. While learning to shoot recurve and compete, I worked with the assistant coach who taught me a lot but was very strict. A year or so later, I started dating that coach (Terry LaBeau) and we are married and sharing our love of the sport to this day. 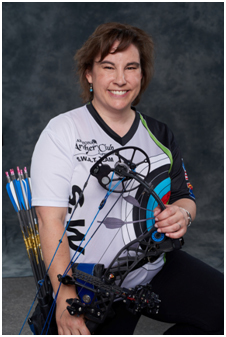 I’ve competed in NFAA bowhunter classes and Olympic style tournaments including 4 Olympic Trials, Collegiate Nationals where I earned All American and Field archery tournaments. My experience includes compound/fingers, compound release and recurve (my passion). My name is Ryan Nielsen and I was born and raised in Arizona. My kids, Autumn and Patrick, are the reason I got involved in the sport of archery back in 2012. Both my kids, Autumn and Patrick have been shooting at a competitive level since 2012 and I decided to give it a shot (literally)! I have been shooting both competitive and non-competitive tournaments for years and enjoy working in and around archery. My wife, Heather, is also involved in archery as not only a shooter but also a coach. Archery has been great for our family over the years. Because of our family being involved in archery, we have made many friends and acquaintances over the years. Outside of archery our family enjoys camping, boating, going on vacations, and relaxing at home. My goal in being a part of the USA Archery Arizona board is to further help promote and grow the sport of archery locally. By using contacts within and outside of the archery community I believe that I can help promote and grow all aspects of sport. I started shooting archery in 2012 when my kids got involved with JOAD. I have competed in numerous local tournaments to include target, 3D, and field. I have a good understanding of the rules and regulations associated with each type of event and how they run. I have traveled to tournaments outside of Arizona to include The Vegas Shoot, USAT events, and JOAD national events. I have worked with Rhonda at Corner Archery and understand the inner workings of both compound and recurve bows as well as how to setup and tune each one. Additionally, I have personally designed and setup a tournament for Arizona’s very own Eric Bennett in which money was raised to help support his Olympic endeavors. Grew up and attended grade school, high school and ASU all in Tempe. Partner at SPS+ Architects. Married with a former JOAD daughter. I would like the three current board members and new board member as needed to have board representation from each of the USA Archery Arizona Clubs. However, if there are not enough candidates or if the board would like me to seek election, I would like to serve as needed. 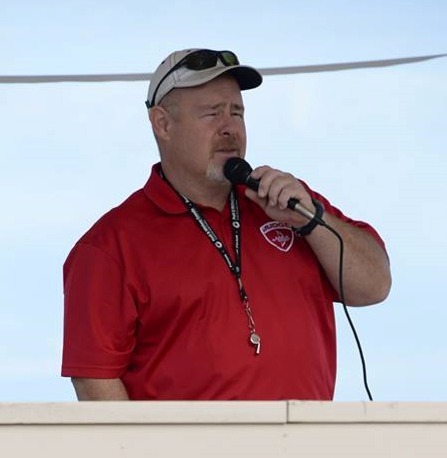 · Arizona State Archery Association Board Member serving as treasurer, secretary, vice president and president. · Easton Foundation and Archery Trade Association consultant. · International Judge, Chair of Judges, Chair of the Jury of Appeals. 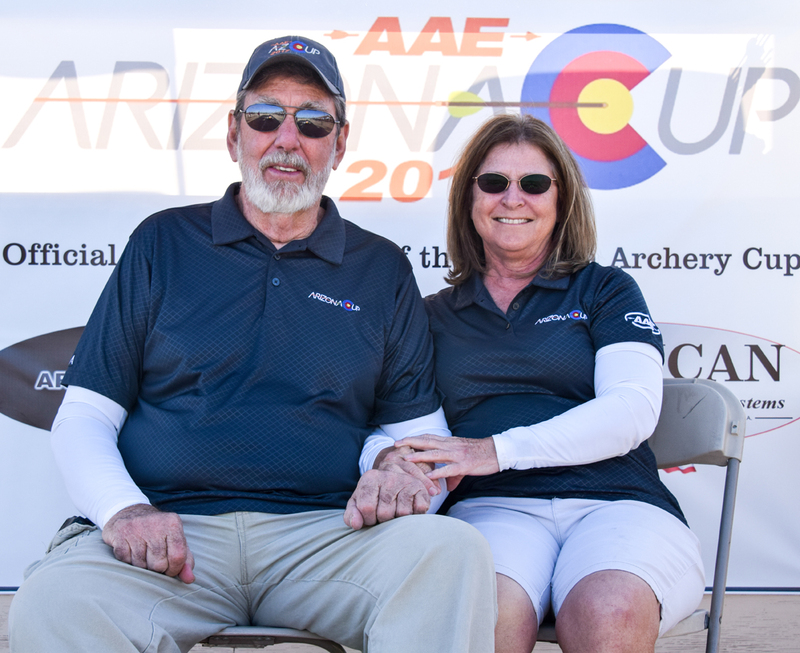 · Founding leadership of Papago Archery, Desert Sky Archers and Paseo Vista Archery Club. 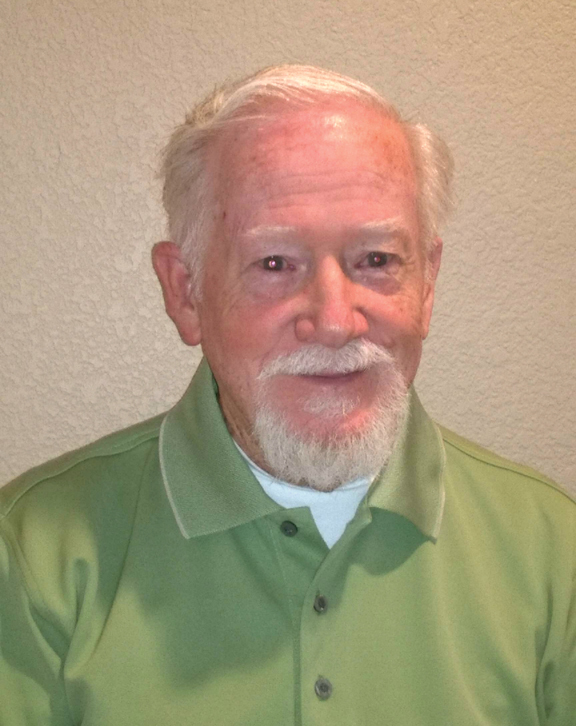 · Current Arizona JOAD Club leader. It has been a pleasure to actively serve USA Archery Arizona since 2001 and be a part of the quality growth of our sport. Our quality events and programs including the Arizona Cup, state championships, judge seminars, JOAD club symposiums, club workshops, club and world team member grants, provide our states archers with the opportunity reach their highest potential. I strongly support the states continued leadership in the national target archery community on behalf of the Arizona target archery community. My life experiences make me a good candidate for serving on this board. 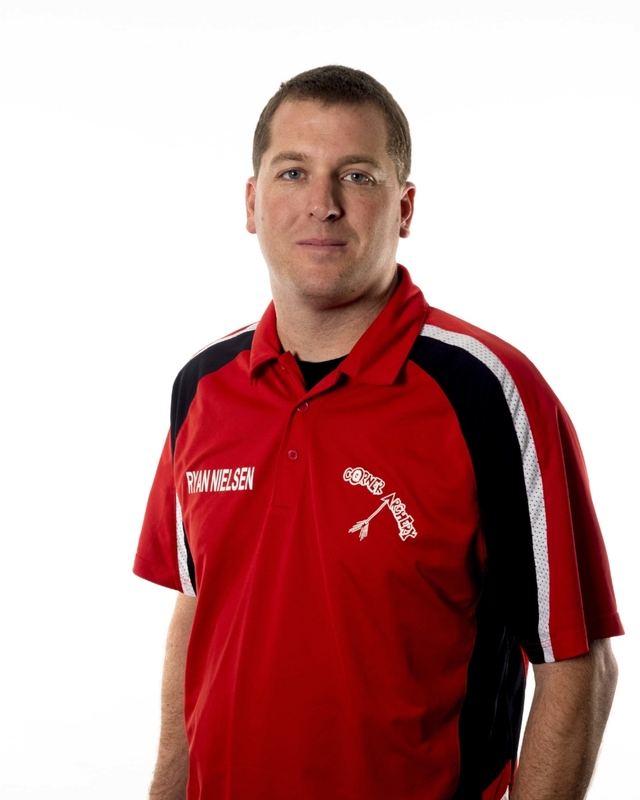 Besides my varied experience with archery, I have a master’s degree in coaching and educational administration. These have given me experience in marketing, administration, and financial management of organizations, all of which are needed to effectively run an organization like USA Archery Arizona. I would like to be a member of the board to help grow the sport of archery and enhance programs and opportunities available to archers. 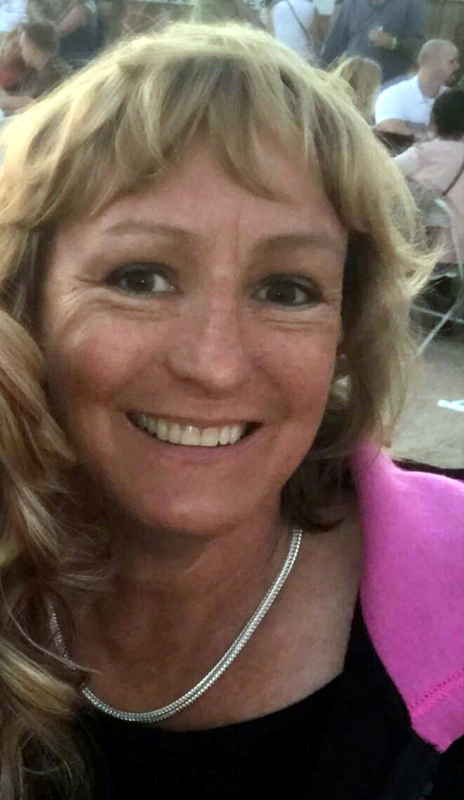 I have a wide variety of experience in archery: Level 4 NTS Coach, Level 3 Coach Trainer, Archery club leader, National Archery Judge, Parent of an archer, Recreational archer, and Archery hunter. These varied roles allow me to represent different perspectives in board discussions. This year one of Arizona’s well know archery coaches has made the Semi-finals of the USA Archery Coach of the Year. 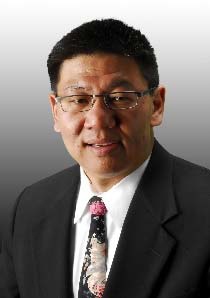 Congratulations Steve Yee. Voting can be done by any USA Archery Member. Meaning every official Member in your family is eligible to vote, so the kids under 18 years of age are eligible to vote. Keep in mind, you will need to know you USA Archery ID number to start the voting survey. Below is a link to the voting survey. This week many JOAD archers from Arizona will compete in the 133rd JOAD National Outdoor Championships. Competition will run from 8-3 through 8-6-2017. Online scoring is available, so you will be able to keep up with your favorite archers.